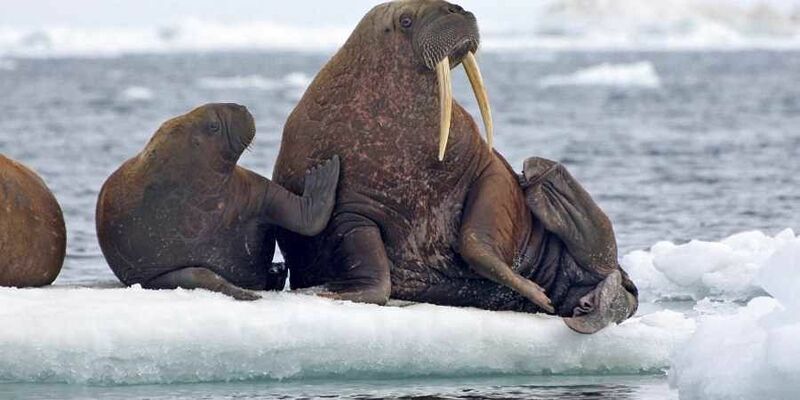 ANCHORAGE: Given a choice between giving birth on land or sea ice, Pacific walrus mothers most often choose ice. A federal judge in Alaska will hear the center's lawsuit challenging the government's decision not to list the walrus as threatened. There is no court date set for the lawsuit. Since 1981, an area more than double the size of Texas — 610,000 square miles (1.58 million square kilometers) — has become unavailable to Arctic marine mammals by summer's end, according to the National Snow and Ice Data Center. Designating walruses as threatened would mean oil exploration companies would have to consult with federal wildlife officials to make sure drill rigs don't endanger the animals. However, Trump's Interior and Commerce departments in July proposed administrative changes to the species law that would end automatic protections for threatened plants and animals and set limits on designating habitat as crucial to recovery. "Maybe they can get through that sort of an environment. Maybe they can't," he said. "No one really knows."